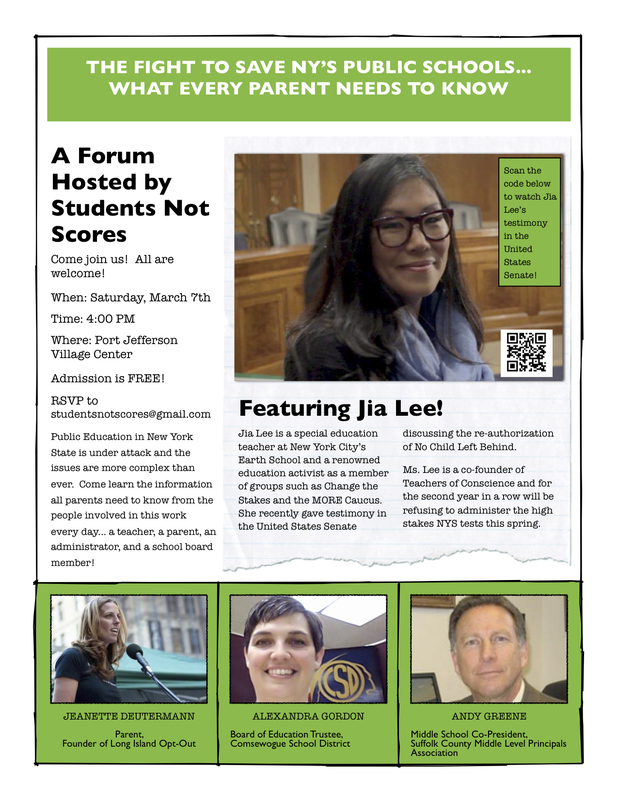 Students Not Scores is hosting a forum at the Port Jefferson Village Center on March 7th. It has a great lineup of speakers, including MORE’s Jia Lee and Comsewogue’s Ali Gordon. The flyer for the event is below. You can also click here to download it, print it out, and distribute among your friends. This entry was posted in General and tagged Jia Lee, SNS. Bookmark the permalink.